In giant network Facebook many users keeps on sharing videos and you watch these videos online, but it takes buffering time depending upon your internet speed which spoils the fun of watching whole video with a constant speed. So to overcome this we are here with a very cool trick by which you can Download Facebook Videos Without Any Tool. These method is much simple and easy than what you are expecting. And after that you can download these from facebook anytime from any device. Just follow the below method to proceed. 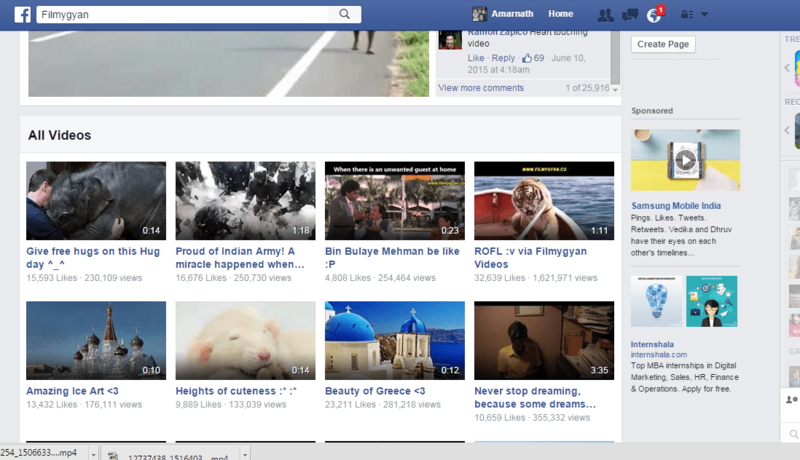 Now there about millions of videos that are shared daily on facebook by users. 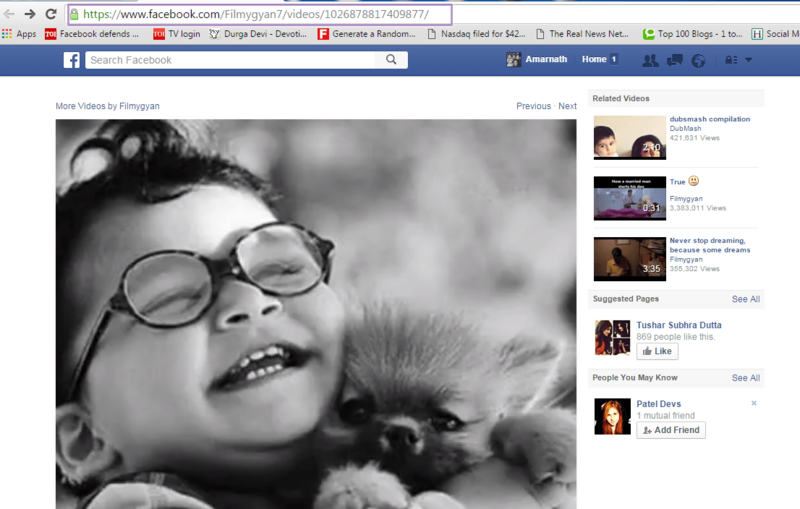 Facebook give access to view this videos online in its interface. But sometimes we like a video that much that we want to download that video for some future you. So in this post i will explain you the method for How To Download Videos From Facebook. By this method you can easily download any videos on facebookand also you can save it for future use. The method ‘s are explained below. Step 1. In this method, we can directly download any video to our computer by just editing some of the URL of the video. This method will work in all browser of both computer and mobile phones. Open and play the facebook video which you want to download to your computer. Step 2. Now click on the URL of your browser and remove ‘s‘ from ‘https‘ andadd “down” beside facebook ( for example URL http://www.downfacebook.com/photo.php?v=937148359). Step 3. Now press enter and let the link load properly in your browser and you will download that video by following the preparations on the next web page. In this method, you can easily download any video of facebook by this software and also by its official site. This method will permanently set a downloader to download any facebook videos to your computer or you can simply copy paste the video link in SaveFrom website itself. Just follow the below step to download any video on facebook. Step 1. First Go to http://en.savefrom.net/ from your computer browser, you will be able to see “Just insert a link” in the homepage itself. Step 2. 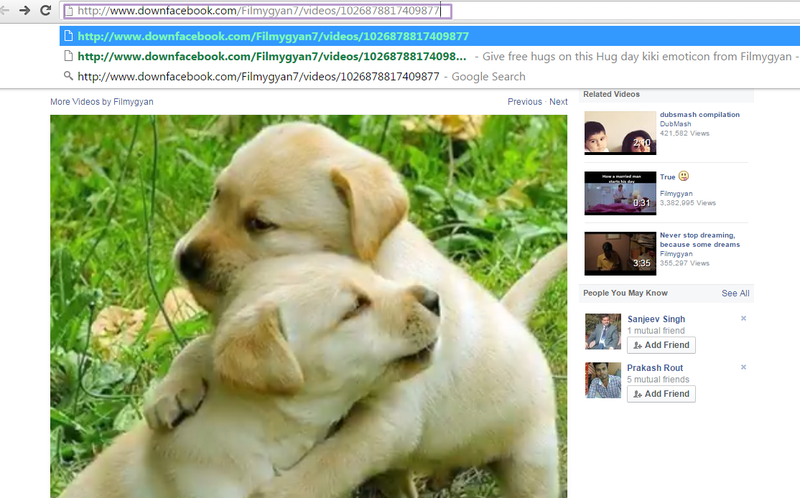 Now open your facebook account and scroll and find any video. Step 3. 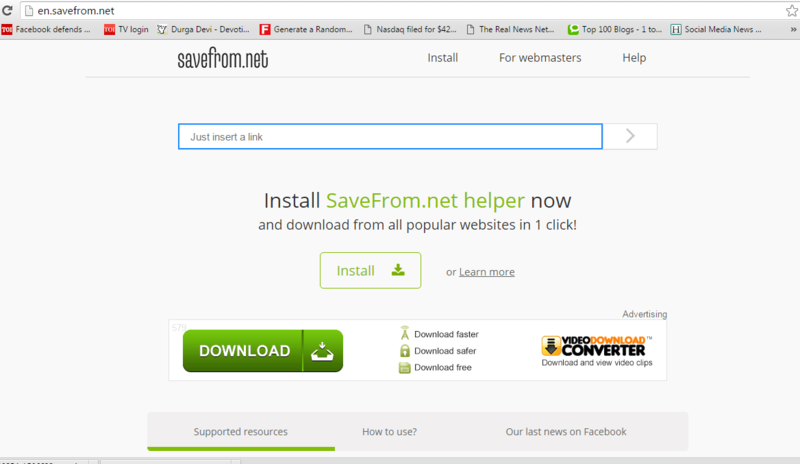 Select any video that you want to download, copy the video URL from the URL Bar and simply paste it inside ” Just Insert A Link” which is located in the homepage of SaveFrom website. Step 4. Just click the button and it will display the quality of videos to download. Select the quality and your video will start downloading. First of all login into your account and select the video you want to download in your device. Now play the video, when you play any of the facebook video then the URLin address bar changes with the video ID at the last, you can see in the below screenshot. Now just copy the video Id from that URL. Open this address in the new tab and thats it video will start downloading through your downloader. So above are the two methods for How To Download Videos From Facebook. By this, you can effortlessly download any facebook video to your computer directly. Also, this method will work to download youtube videos. Now you can have all your favorite facebook videos on your computer to watch them later. Don’t forget to share this post. Leave a comment below if you face any problem at any step.